A creative painting tool for artists! This double-ended tool features a size 6 flat natural bristle brush and a tapered-point silicone tip - known as a Colour Shaper. The shaper is made of durable silicone and is easy to clean. 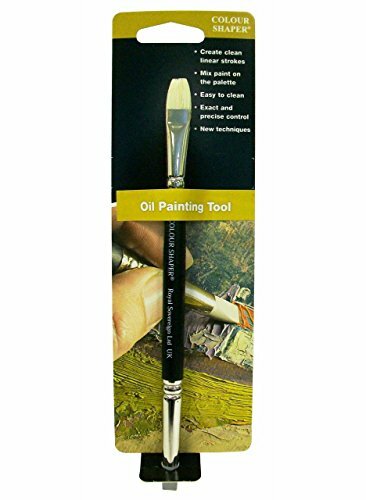 Use it for manipulating paint by scraping, carving, dragging and blending. Use either end for mixing color and creating flat strokes of color. Made in the UK. If you have any questions about this product by Colour Shaper, contact us by completing and submitting the form below. If you are looking for a specif part number, please include it with your message.